This Saturday March 7th sees the 2015 edition of our free, “back-t0-basics” street race – turn up and RUN. Later that night Sobros Lounge will host our annual Red River Runners party – turn up and PARTY. It certainly is a big weekend ahead. The race will be just over 10km. The start and finish is inside Ciputra, but most of the running will take place on the streets of Tay Ho. This is a casual race, no roads will be closed, you take part at your own risk. Please respect vehicle traffic everywhere, and follow the instructions of security guards inside Ciputra. Please also follow the advice and directions from our volunteers on the course. We will have limited volunteers and course marking, so please learn and understand the route for yourself. 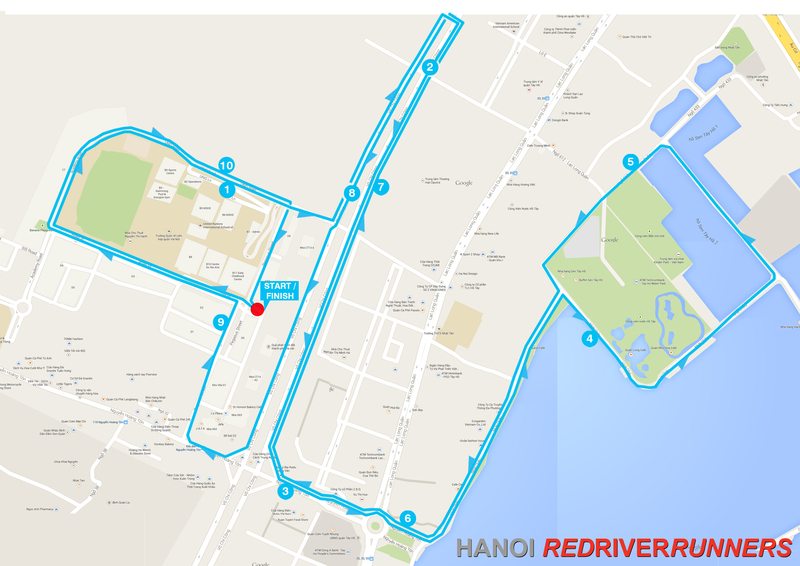 Click here for the race route in Endomondo or you can download the map at the bottom of this post. If you want your race timed, then drop into to JAFA restaurant (G2 Tower, Ciputra) between 12:00pm – 15:00pm to collect a race number. You can also buy tickets for Saturday night’s turn up and PARTY at this time. After 3pm our timing team are going to be very busy, so we can’t guarantee everybody a number. Race timing is done by our volunteers using WebScorer app. It’s not guaranteed, so please time your own race if you are concerned about your time. We hope to publish race times online 24 hours after the race. The race starts at 16:00pm – it’s going to be busy, so please be there by 15:30pm. Ciputra have advised there will only be limited motorbike parking available behind G2 Tower, in the “Contractor Parking Area”. For this reason, we encourage runners to please travel by taxi. When you arrive at G2 Tower (i.e. outside JAFA restaurant / L’s Place), please walk directly to the start-finish area which is at the old Ciputra Marketing Suite – it’s 2 mins walk. If you prefer, go into JAFA restaurant for a drink / snack until race time. We are not allowed to wait outside the towers or inside the lobby area before the race. Here is a map to help you. 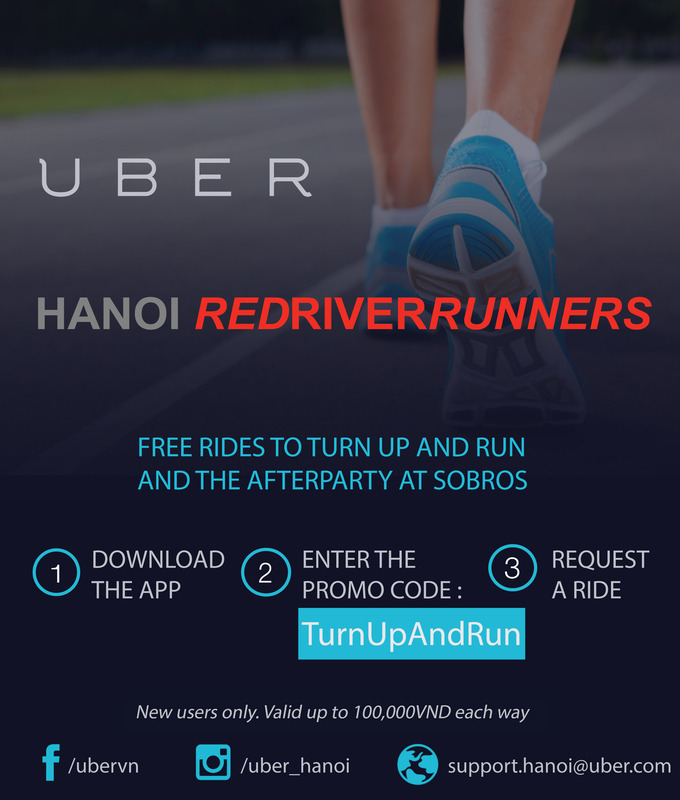 After the race, you will have plenty of time to get home and freshen up for the Red River Runners party of year at Sobros Lounge (1/52 To Ngoc Van street, Tay Ho) which starts at 19:30pm. Tickets are limited, so buy them at the race (from our volunteer, Ms Nga) for 100,000 VND. This gets you one free drink (beer / wine / soft drink), hot snacks & finger food. There will be an awesome DJ (DJ Matt Gooch!) plus 100’s of photos from the race and from our other events over the last 12 months. Consider the party a big “thank you” to all the runners who make RRR such a great group to run with!!! Good luck and see you there!! !